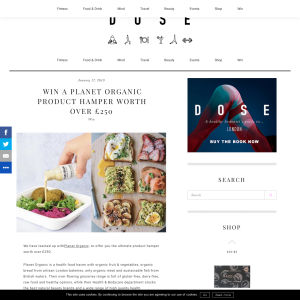 We have teamed up with Planet Organic, to offer you the ultimate product hamper worth over £250. Planet Organic is a health food haven with organic fruit & vegetables, organic bread from artisan London bakeries, only organic meat and sustainable fish from British waters. Their over-flowing groceries range is full of gluten-free, dairy-free, raw food and healthy options, while their Health & Bodycare department stocks the best natural beauty brands and a wide range of high quality health supplements. Name the brand of the Classic Crunchy Hazelnut Spread?